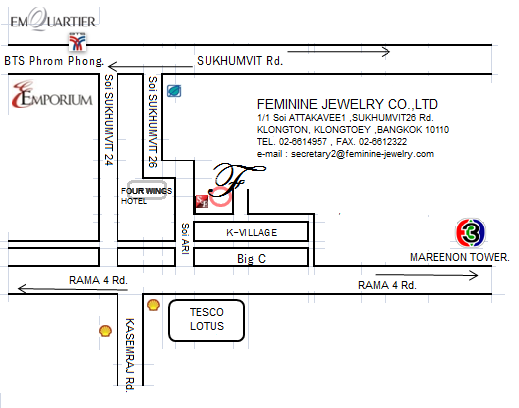 Is an OEM jewelry manufacturer located in Bangkok, Thailand. Our product line included various kind of jewelry such as ring, earring, pendant and all kind of charms. Furthermore, we are specialized in manufacturing silver and gold bead charms either set with previous, semi-precious, CQ or Swarovski crystal.